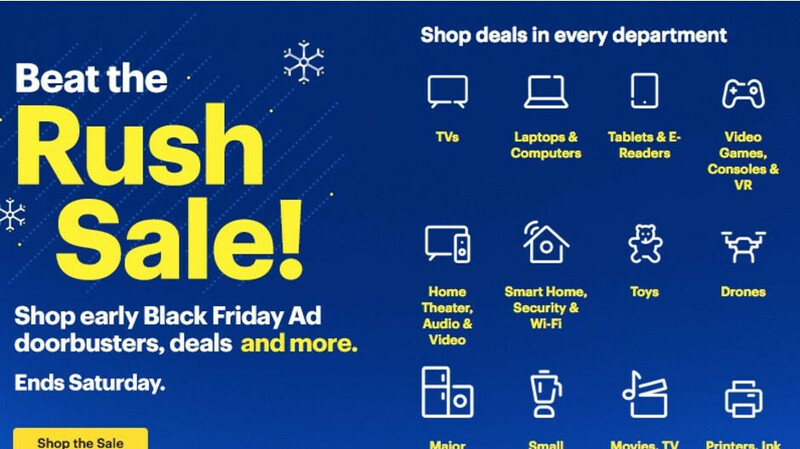 Immediately after revealing its full slate of killer Black Friday 2018 deals, Best Buy kicked off a few “doorbusters” early, including hefty savings on the 9.7-inch iPad and 10.5-inch iPad Pro. But now that those special offers are expired... it’s time to enjoy even more “Black Friday prices” and doorbusters until 11:59 p.m. CT on Saturday. Some of the best high-end smartphones in the world are already discounted, starting with Apple’s hot new iPhone XS, XS Max, and iPhone XR. Unfortunately, while the three iOS powerhouses are set to go $150 off list with monthly payment plans on Verizon, AT&T, and Sprint next week, this “beat the rush sale” merely offers savings for customers of one carrier. We’re also talking about the least popular of the US “big four”, namely Sprint, but $150 discounts are still nothing to sneeze at. Last year’s iPhone X is available at $200 off with installments and qualified activations on the same wireless network, while Samsung’s Galaxy Note 9, S9, and S9+ can be had for $300 less than usual on both Sprint and Verizon. That particular doorbuster allows you to pay $29.16 a month for two years instead of $41.67 with Verizon Device Payments for the Note 9, amounting to $700 or so, which is arguably a great price. It’s also nice to be able to save a whopping $400 on a Verizon-locked Google Pixel 2 XL, as well as $200 on the Pixel 3 and 3 XL with monthly installments for Big Red. These are all Black Friday prices that you can get right now... in limited quantities, without worrying about the usual Black Friday hustle and bustle.